The article discusses the techniques and tools most valuable to any growth hacking strategy with reference to your social media community. How companies around the world have used growth hacking to improve their social media. How growth hacking can grow your exposure, customer base and bottom line. Is There a Difference Between Growth Hacking and Digital Marketing? One of the most prominent difference is that where general digital marketing refers to a set of activities, growth hacking is a science. Growth hacking doesn’t entail a set of tools that you can use, but rather how you utilise those tools. We can define it by breaking down this one funnel. The first step in the growth hacking funnel is acquisition – referring strictly to the right target audience. How do you get in front of the right people? This could be getting footfall into a physical store, or new visitors onto an ecommerce website. The second is activation, meaning your acquired audience has some sort of interest or engagement with your brand or business. You can define your own activation step for what exactly it is you’re trying to achieve – it could be having a customer of your target audience adding something to their cart on your ecommerce platform. The next important part is retention. You have retention when someone is repeating an action that is of specific business value to you. For example, repeat website visits, purchases or social shares. Then we have referrals. This is simply getting existing customers to get you more customers. Referrals can be measured in several different ways – perhaps you have a referral benefits program, where an existing customer gets a discount for referring someone who becomes a new customer. Or perhaps it’s organic referrals from social media and blog posts. Regardless, scaling this could result in an impressive jump in customers and revenue for your business. Top Tip: Dropbox, worth over $10 billion today, credits its success today to their successful referral program that incentivized both the referrer and referred to promote the product to others. All referrers were given extra storage space for each referral. In the first year and a half of the program starting, an astonishing 2.8 million referral invites were sent. Even today, 35% of Dropbox’s new users come from its highly successful referral program. Lastly, of course, we have revenue. Check that every step you’ve gone through in the funnel makes financial sense for the brand. Essentially, the revenue amount should be more than the amount you’ve spent on acquiring, engaging, retaining and referring. The best thing about this funnel is that you know its scalable. Once you’ve got it operating smoothly, you can 10X your resources and therefore 10X your revenue. When it comes to social media, it’s not just about the numbers anymore – it involves a certain level of creativity, engagement, content creation. At the top of the social media growth hacking funnel – attracting the right people to follow you, visit your app or website – would be social media traffic or organic followers (followers that naturally increase after putting out great content or social media campaigns, not followers that have been bought or paid for). The middle of the funnel focuses on engagement and retainment. This could be measured by engagement percentage – the number of visitors or followers that are engaging, engagement analysis – positive or negative sentiment analysis, or certain actions taken – consumers buying something from you or sharing your posts. Lastly, the bottom of the funnel relates to how much revenue is being generated. This can obviously be measured by sales and ROI – arguably the most important metric of any social media strategy. It can also be measured by brand mentions or brand recognition – how many more people starting writing or chatting about you. Try a social media listening tool to discover exactly what people are saying about your brand and how it might be changing over time. Also Read: #SAMMIE2018: Growth Hacking and how to win against hungry competition at large! How are you going to build and develop content that can help with business growth? Your audience has seen every product that is available for what they need. They do not care about your product, they care about your story. Connect with people at a deeper level: excite, scare or motivate them – something that your audience will feel connected to, will talk about and will buy into. This increases the “sharability” of your content. When designing content, how “sharable” it is should be your core value. This results in growth, and even virality. For example, Dove’s campaign “#SpeakBeautiful” uses hard-hitting stats to connect to women emotionally about something they can relate to. 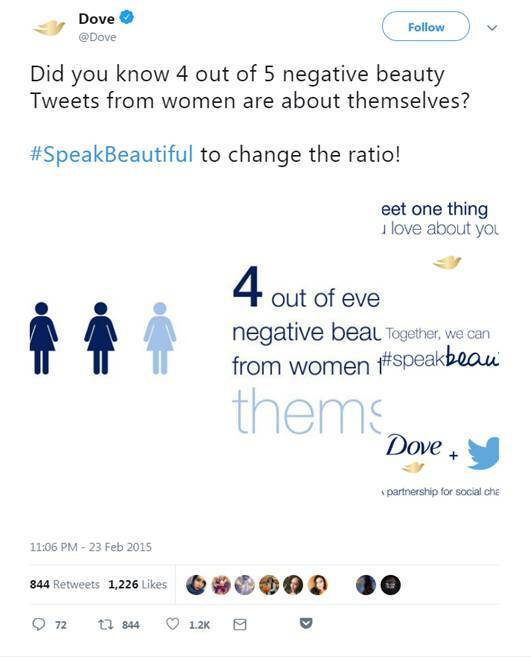 Their Tweet, “4 out of 5 negative beauty Tweets are from women talking about themselves,” doesn’t mention or hint at the product that Dove sells at all. One can’t speak about content development without mentioning video content. The rise and success of video content in recent years shows us everything that we need to know about it – it’s a trend that is here to stay. If you’re not yet using this impactful way of storytelling, you should get on it immediately. For instance, one of the most innovative brands on the planet, Airbnb, released a campaign known as “Don’t go there, live there.” This was a video presenting Paris, New York and Tokyo, among other global cities, that people can either simply “go to” – and do what tourists usually do – or they can get a more wholesome experience of the city by “living there” – staying with locals, cooking the food and learning the language. How are you going to ensure that your content is engaging enough and not just there for the sake of it? Gary talks about the real “hands on” work in entrepreneurship: He is realistic and he says it how it is, which makes it easy for viewers to understand his sentiment and connect with him. The “growth factor” in his content is about how direct he is: Gary comes across as honest, authentic and direct. The average person can relate to him or, at the very least, be completely inspired by him. The “sharability” of his videos: The above video is one and a half minutes, making it quick to watch and easy to digest, as well as shareable – the community are inspired to share with their friends and business partners after watching his content. The social community that Gary has grown through videos like these has aided in him growing his personal brand, building successful businesses, writing and selling books, and more. Validate what works and scale it. And then, most importantly, repeat. Launch a new hypothesis weekly, monthly or quarterly – depeding on your business and goals – keep measuring and keep evolving. This refers to brands asking the community for their opinions, ideas and input. This can be done with polls and quizzes and is usually fun (as opposed to a data-collecting survey) to ensure engagement. This is probably not right for you if you’ve just launched – because communities don’t know who you are yet. Conversational content is for providing value to your existing community, and falls right in the middle of the funnel, with pure engagement and conversation being the core goal. 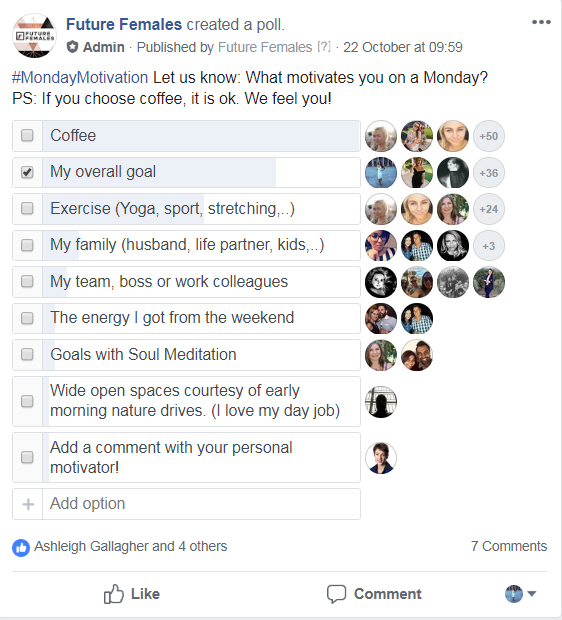 For example, Future Females, an organisation aimed at increasing the number and success of female entrepreneurs globally, hosts regular polls in their Facebook group to keep engagement and momentum high. Social media listening is about listening well in order to respond better, instead of starting conversations or asking questions. This can help you with a number of aspects such as crisis communications, trend predictions, product design, competitor benchmarking and so much more. – Where is the content shared the most? Check where your content has maximum sharability. Here, you need to validate based on shares and positive sentiment, and then move forward with what has worked best. – Which influencers produced the best results? If you don’t know how to find social media influencers in India yet, track which members of your community are your biggest fans or making the most positive noise about you online. Find a way to appreciate them in whichever way suits your brand so they maintain their high levels of enthusiasm and engagement. 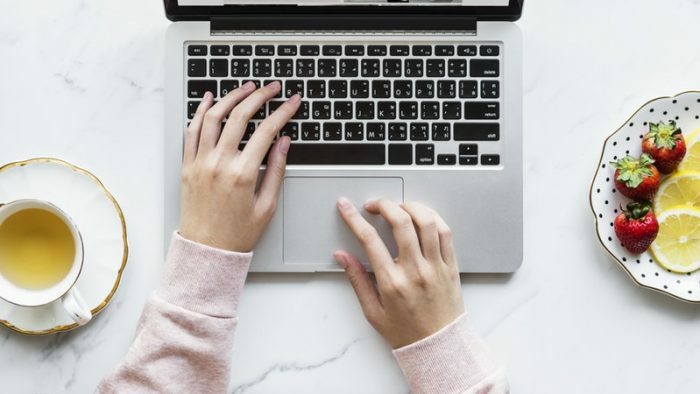 Top Tip: Watch this free on-demand webinar on How to Build an Influencer Marketing Strategy That Works for everything you need to know about creating an engaging campaign, building a strong brand-influencer relationship and impacting your bottom line with influencer marketing. – Next, look at which locations and products are gaining the most engagement. This might surprise you – sometimes customers are in remote places we would never have considered having a presence, but probably should, and sometimes there’s serious engagement on a certain product or feature that can show us what we need to focus more time and money on. “Whatever you can measure, you can improve.” Meltwater India Remember to record and measure your social media marketing efforts for better chance of growth. Growth hacking your social media communities has just as much to do with measurement as it does engagement and selling. 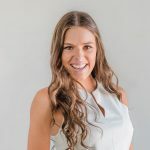 Reach out the team if you have any unanswered questions about growth hacking, or would like to know more about how to improve your social media strategy with social listening and measurement. With inputs from Shivankit Arora, Founder of Marketing Masala.